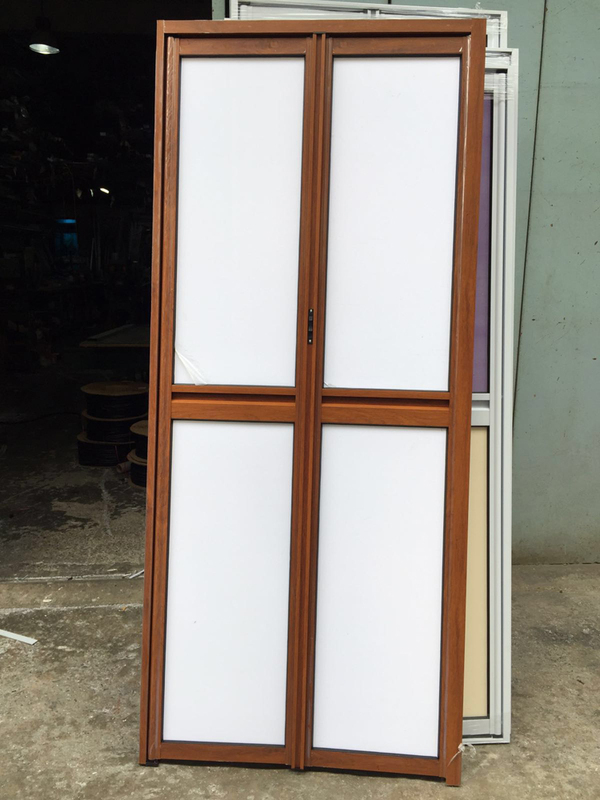 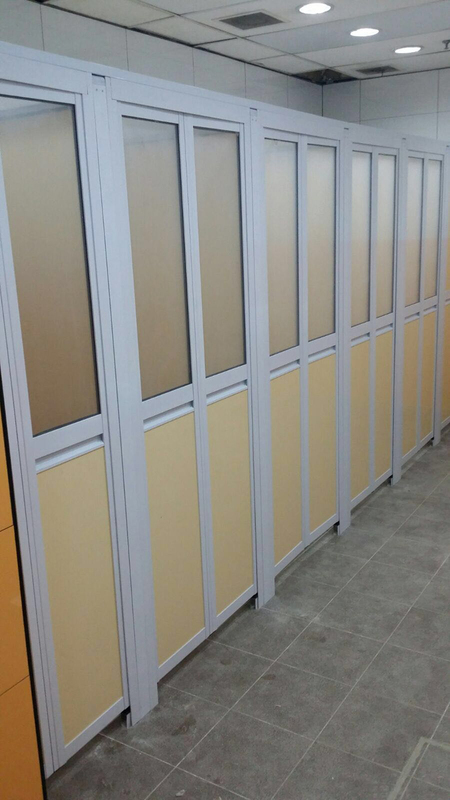 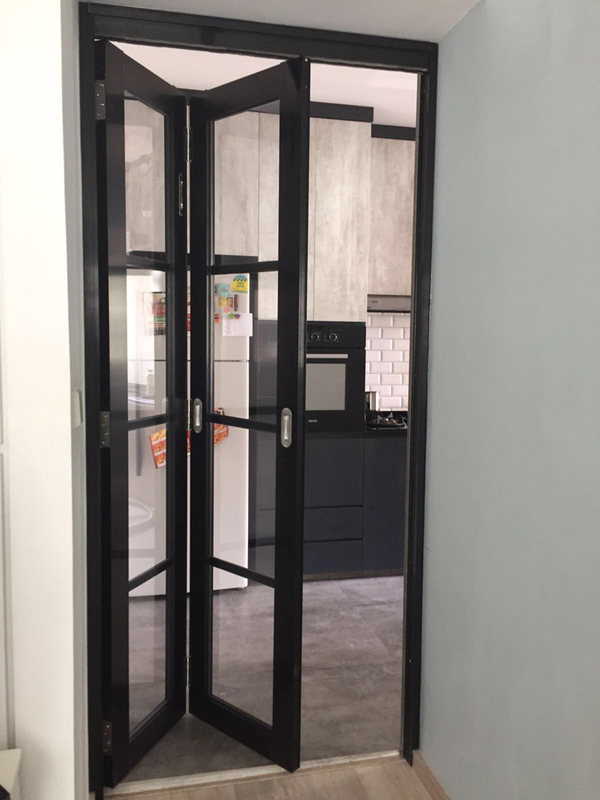 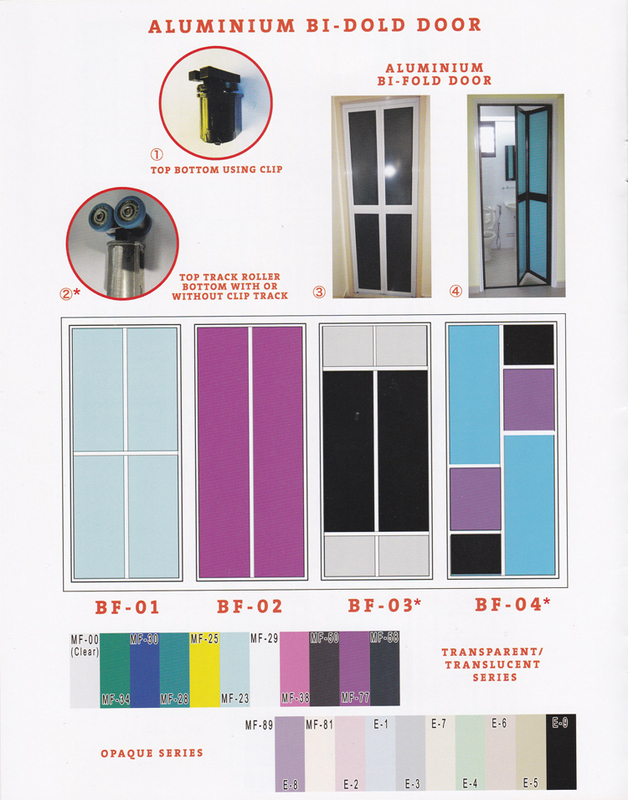 Bi-Fold Door fold in on themselves, and are fixed to sliding track at the top of the door. 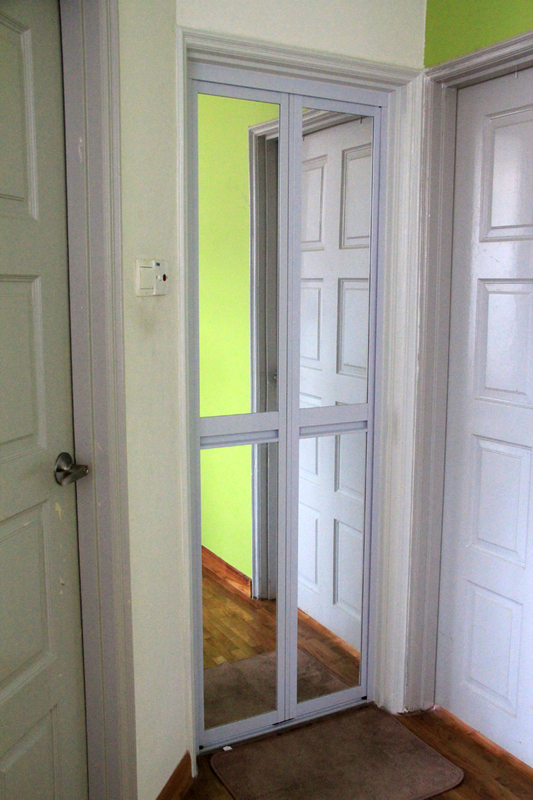 They take up less space, when opened, than normal doors. 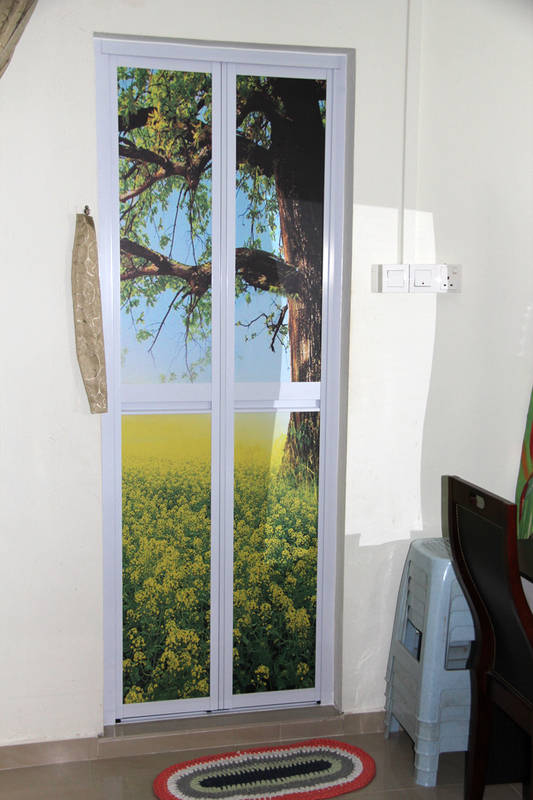 We offer wide range of designs for customer to choose from.